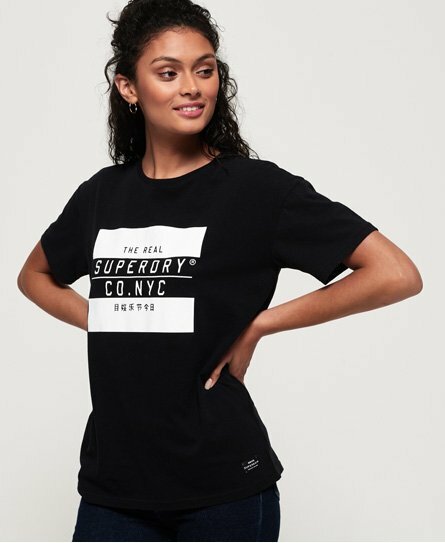 Superdry women's Yasmine t-shirt. A t-shirt is the foundation to any great outfit, and the Yasmine t-shirt is the must have update your wardrobe needs. Featuring a classic crew neck, short sleeves and logo graphic on the chest, this wear with anything t-shirt is completed with a Superdry logo badge above the hem. Style loosely tucked into a denim skirt for a laid back look.